In order to set up your NetID, you first need to obtain your GrizzlyID. Your GrizzlyID is a "G" followed by eight numbers (e.g. G12345678), and uniquely identifies you with Oakland University's systems. Your GrizzlyID should be kept secret, and should not be sent over email. Once you have obtained your GrizzlyID from Faculty Affairs, you will need to set a PIN. Your GrizzlyID and PIN together will allow you to create a NetID. 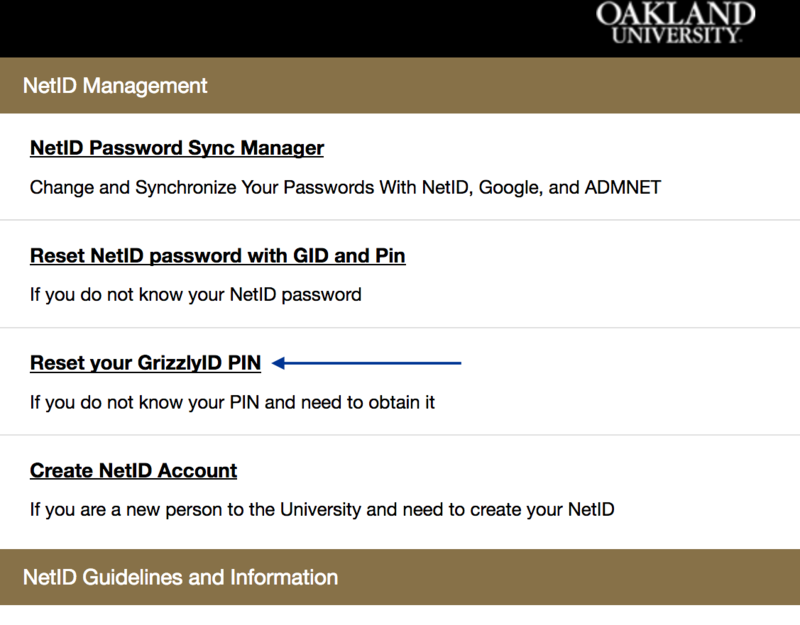 To set a PIN for your GrizzlyID, go to netid.oakland.edu and click "Reset your GrizzlyID PIN". Follow the instructions on the form to reset your GrizzlyID PIN. Once you have your GrizzlyID PIN, you can set up your NetID. Your NetID is what you will use to access online library materials from off-campus. 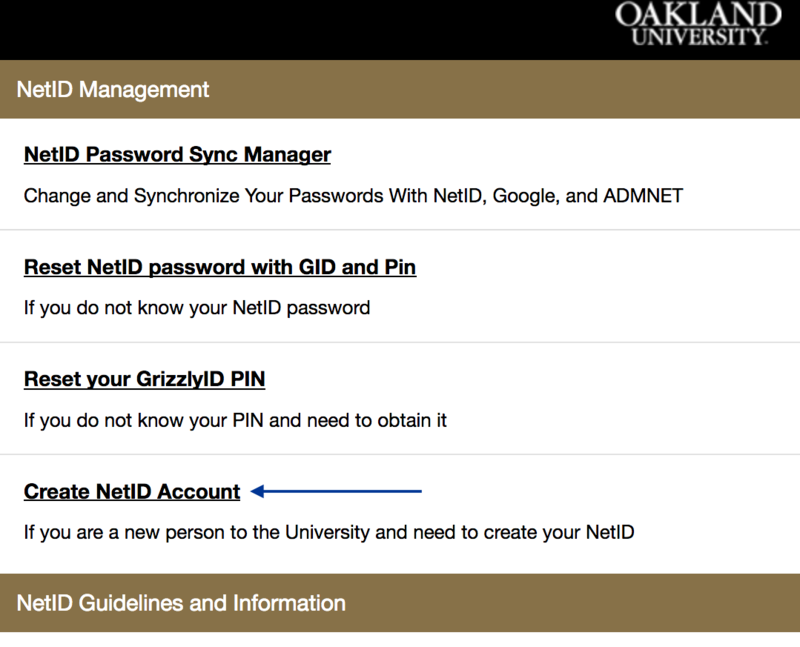 To create your NetID, go to netid.oakland.edu and click "Create NetID Account". Follow the prompts to create your NetID account.